A full summer of camps for the kids of the Timber Lake Apartments! Each summer, Puente depends on volunteer groups from Wheaton Bible Church and Iglesia del Pueblo to run week-long summer camps. If you participated this year, THANK YOU! 17 clubs. Six communities. 1,200+ kids impacted by the Gospel—right in their own neighborhoods! Two trips this year! Downtown Chicago and Dayton, Ohio—awesome times of reaching communities within home restoration and community outreach events. Nine teams. 69 ambassadors for Christ. Growing in discipleship as they share and serve. Is God tugging on your heart to be more intentional about serving in some part of the world? Could you join a GO Team next year? GO Teams are one-to-two week trips that connect people like you with WBC missionaries and ministry partners around the world. The experience enriches perspective, challenges us to grow, and enables us to contribute in significant ways. Stretch yourself and gain insights about God from our Christian brothers and sisters from various nations. Watch for 2013 GO Team information coming this Fall! Questions now? 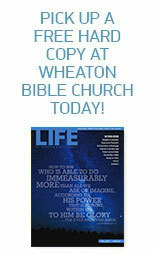 Contact Susan Wegner on the Global Outreach Team, swegner@wheatonbible.org. This entry was posted on September 9, 2012 by Wheaton Bible Church in Fall 2012.